As I take time at the begin­ning of 2019 to reflect on the past year there is one exper­i­ence that stands out amongst the rest. In Octo­ber I was lucky enough to volun­teer to be a part of the crew out in the desert for the 2018 Wadi Rum Ultra (now Ultra X Jordan). With the excep­tion of avidly track­ing nutty friends from the con­fines of a desk in the past, my exper­i­ence of ultra mara­thons had been min­im­al before my arrival in Amman air­port. I did won­der if I was going to be a par­tic­u­larly use­ful addi­tion to the crew (I am an accountant…not sure how many run­ners were keen to dis­cuss their tax return half way through the race) but I was prom­ised an unfor­get­table week, in an epic loc­a­tion, with amaz­ing people. 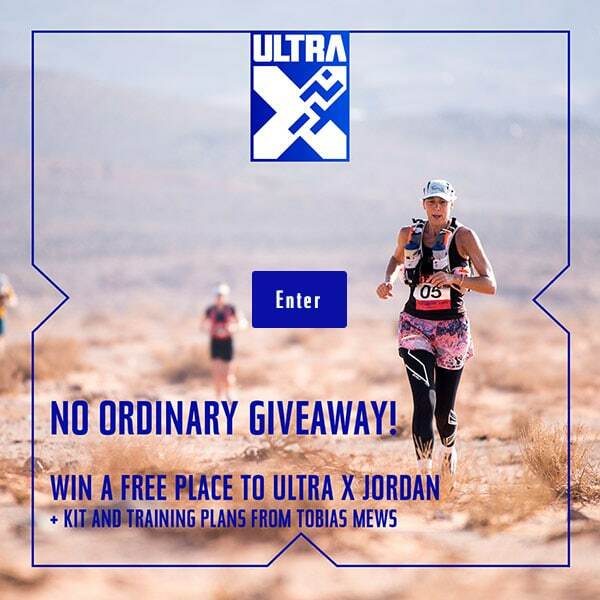 Ultra X Jordan did not dis­ap­point. The crew’s main role dur­ing the week was to be there as a gen­er­al sup­port for the run­ners. Dur­ing the race, there were check­points every 10 km and we were on hand to provide water, encour­age­ment and any med­ic­al sup­port. Dur­ing the even­ings the crew were in camp, help­ing out with any organ­isa­tion for the fol­low­ing day or any pre­par­a­tions the run­ners were mak­ing. Each day we would see the run­ners off and then drive along the course to set up each check­point. I had wondered if it would get a bit bor­ing- spend­ing hours a day sit­ting with a gazebo- but the Wadi Rum Desert is one of the most spec­tac­u­lar places I have ever been and it was very excit­ing wait­ing for each run­ner to appear over the nearest dune. The nature of the event meant that I got to know all of the run­ners well, and found myself really inves­ted in their pro­gress. 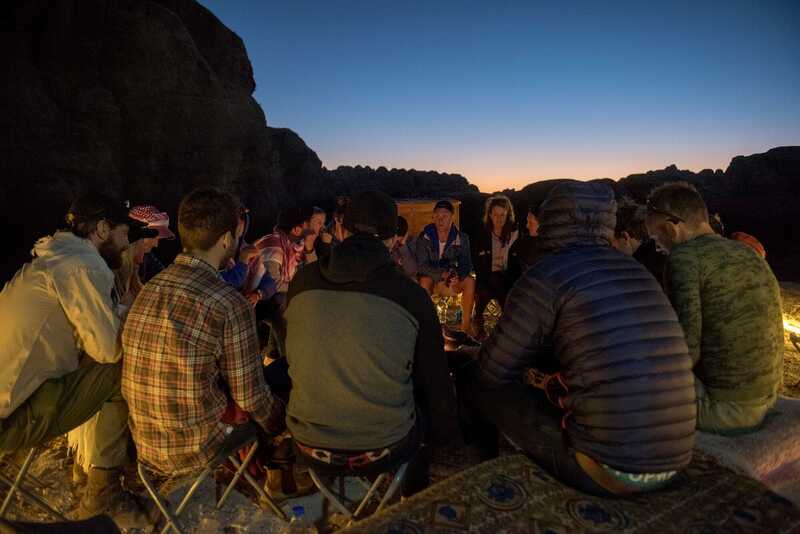 Quickly I got to know who liked to sit down and have a good catch up, who liked to grab water and power on, and who liked to have a rendi­tion of S-Club 7’s “Reach for the Stars” to ser­en­ade them each time they headed off into the desert. After mak­ing sure every­one was safely through the final check­points we would head back to camp to cheer the final com­pet­it­ors over the line and pre­pare for the fol­low­ing day. Totally cut off from inter­net, elec­tri­city or any oth­er mod­ern lux­ur­ies — the even­ings were spent chat­ting round the fire before a night under the stars in anti­cip­a­tion of the next day. So… am I now inclined to sign my name down to run a future Ultra X event? Def­in­itely. And this is com­ing from someone who, pri­or to touch­ing down in Jordan, had nev­er run more than 10 km. But the over­rid­ing emo­tion as I cheered on the run­ners was that of inspir­a­tion, so much so that I am determ­ined to take on an Ultra X event one day. From Charlie Henson’s amaz­ing effort on the last day to fin­ish only two minutes behind the great desert run­ner Salameh Al Aqra, to Matt Tomkin com­ing back from ill­ness to power through the long day, to Rena Mutagu­chi suf­fer­ing from such severe blisters that she com­pleted day 2 in sliders — I was totally in awe of each and every one of them. I might not be mak­ing my Ultra X debut in 2019, but it is sharpied to the top of my buck­et list. For now, I will be crew­ing as many as my hol­i­day allow­ance will let me, and scop­ing out which of the loc­a­tions is most epic for my first for­ay into Ultra run­ning. These are very spe­cial events and it was (and is) a real priv­ilege to be involved…can’t wait for the next adven­ture! If you want to join us as a volun­teer in Sri Lanka, or any of our future events you can register your interest here.